What do you want in your suitcase? It’s been a busy few months, full of several wonderful trips. French Polynesia where we were rained on daily; hot, sunny Dominican Republic; Mammoth Mountain and its crisp days; and Philadelphia with bitter cold and wind. For each trip, I packed the same suitcase – but each time I put different things in it. Similarly, each stage of our life requires different items in our suitcase. When we’re young, we might want a simple life – a light suitcase so we can easily move for the next opportunity. In my 20’s, I moved 8 times within 7 years. Material possessions certainly didn’t occupy much space in my life. When our children were small, suitcases held baby gear, toys, and lots of books for us to read. As the kids grew, sporting equipment figured more prominently. Transitioning into the field of physician coaching, I carried books and training manuals as I traveled to learn new skills to help my clients. Even more than tangible items, we pack the suitcase of our life with activities. These, too, reflect what our roles are – professional, volunteer, parent, spouse, child, friend. As we accumulate activities from each of our roles, we can find ourselves burdened with long “to-do” lists. We may wonder why we ever agreed to these things. That, actually, is a great question. A wonderfully enthusiastic and committed physician client, whose schedule could be overwhelming, had difficulty declining positions she didn’t want. As a child, she felt trusted and competent when asked to take on new roles, so she developed a habit of saying yes, even when the work didn’t interest her. For others, the desire to be liked or to be a “team player,” or the fear of consequences if they say no, will mysteriously cause them to raise their hands whenever someone asks for help. Recently, a lovely person asked if I would help with an intensive learning experience for medical students. Knowing how hard it is to get volunteers, and wanting to help this person who I admire and like a lot, I agreed. Once I returned home, it became clear that, not only was I not the ideal person for this role, it didn’t fit with the direction I wanted my professional life to grow. There are many great reasons to agree to new activities, but as our lives change we should carefully consider what we really want to pack in our suitcase. Will the activity honor one of our values? Will it help us learn something important? Are we helping someone we care deeply about? Does it fit with what else is going on in our lives? Do we have the time and resources to do it? As my wise brother-in-law recently shared, it’s often more important what we decide not to do, than what we decide to do. 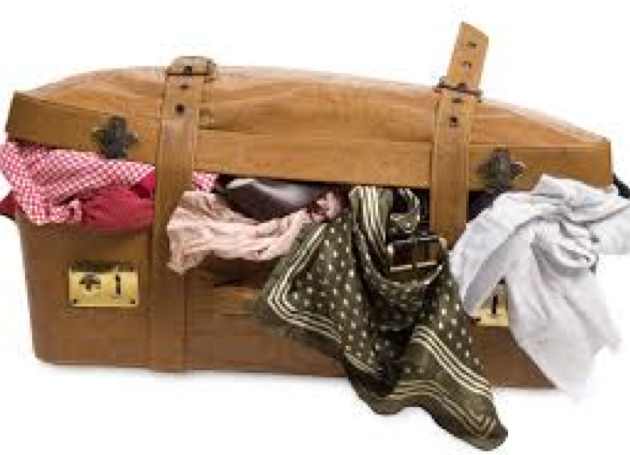 Let’s all take a look at our suitcases and see if we can lighten our load by unpacking those activities that don’t serve our vision for our life. Our trip will be a lot more fun if we do. This entry was posted in mindfulness, physician coach, physician coaching, physician fulfillment, physician work life balance and tagged leadership, medical career, perfectionism, physician coach, Physician coaching, Physician fulfillment, Physician work life balance, work life balance. Bookmark the permalink.